This holiday season is widely expected to break sales records. After the Thanksgiving leftovers are gone, there’s still time to score Thanksgiving-weekend deals. Say hello to Cyber Monday. 1. 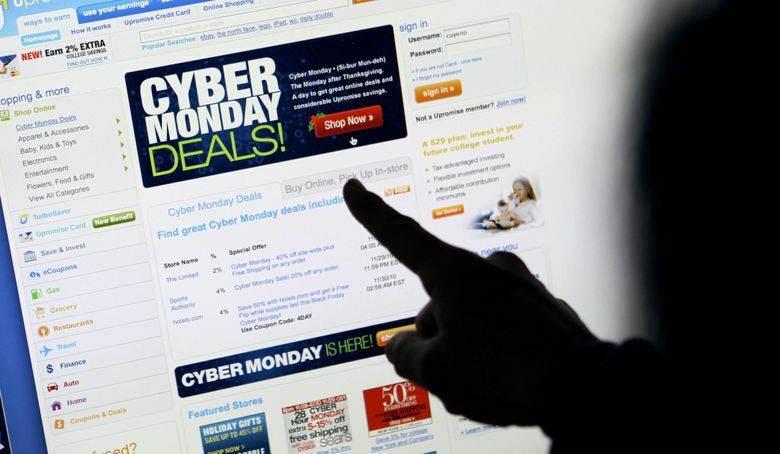 Cyber Monday takes the lead in revenue generated through online shopping. Adobe Analytics puts Cyber Monday online shopping sales at $7.8 billion – a 17.6 percent increase from 2017. 2. The “golden hours” of online sales fall on the evening of Cyber Monday. The three hours starting at 10 p.m. Eastern time bring in as much revenue as an average day during the year. 3. The calendar matters. This year, there’s one extra day between Cyber Monday and Christmas, providing a $284 million boost in sales. 4. You may find the best deals on toys if you shop on Cyber Monday. According to Adobe, shoppers can save 19 percent on toys on this day compared with the rest of the holiday season. Apparel is most likely to be out of stock on Cyber Monday, Adobe says. 5. On Cyber Monday of 2017, people spent 5.2 billion minutes shopping. That’s equal to 10,000 years. Really.